The BLF Scholarship program 2017 provides financial support to students pursuing a higher education who understand, appreciate, and exemplify Bruce Lee’s passion for education, self-actualization, and honest self-expression. Please read all the Frequently Asked Questions at the bottom of this page before applying. Applications for the 2017 BLF Scholarship are now open. Please read the FAQ section at the bottom of this page, the eligibility criteria and the entire application form, before applying. Announced: Tuesday August 15th, 2017 All winners will be notified by the email address or phone number listed on their application form. 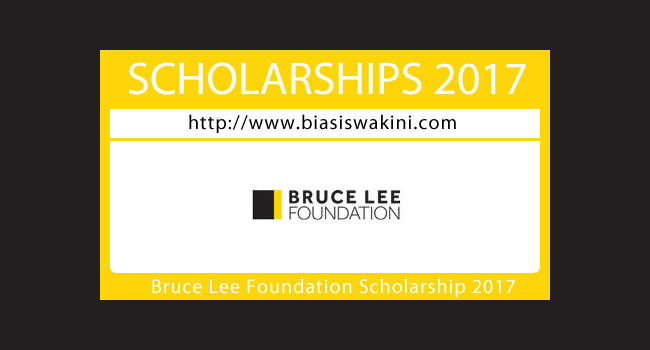 0 Komentar untuk "Bruce Lee Foundation Scholarship 2017"